Miskolc (Hungarian pronunciation: [ˈmiʃkolts] ( listen), Slovak: Miškovec) is a ceety in northeastren Hungary, mainly wi hivy industrial backgrund. 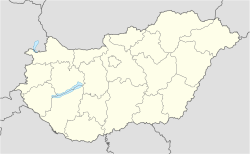 Wi a population close tae 170,000 (2010), Miskolc is the fowert lairgest ceety o Hungary (ahint Budapest, Debrecen an Szeged; seicont-lairgest wi agglomeration.) It is an aa the caipital o Borsod-Abaúj-Zemplén Coonty an the regional centre o Northren Hungary.